Eat, Drink, Give to Kids! Join us for 50 Men Who Can Cook 2019. It's a TASTY way to support College Station ISD teachers and students! A lot of great things are going on in CSISD and you can be part of it all. 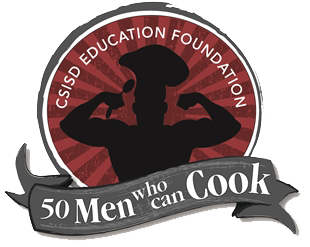 50 Men Who Can Cook 2019 will be February 1st at the Brazos County Expo. We hope to see you there! This form stopped accepting submissions on February 1, 2019 4:00 pm CST.